Our niece specifically asked for a pink, purple & yellow butterfly cake for her birthday, so that’s what Soph’s making this weekend. 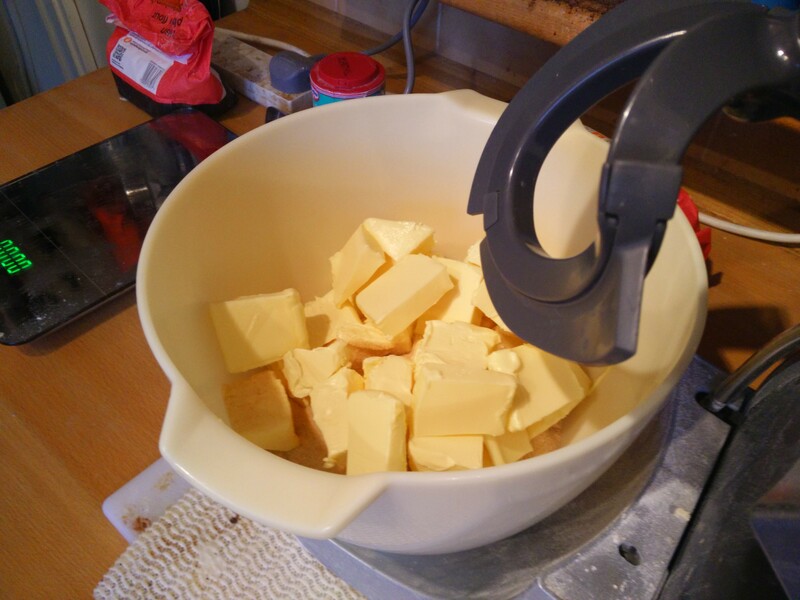 And boy is it a big cake: look at all that butter! 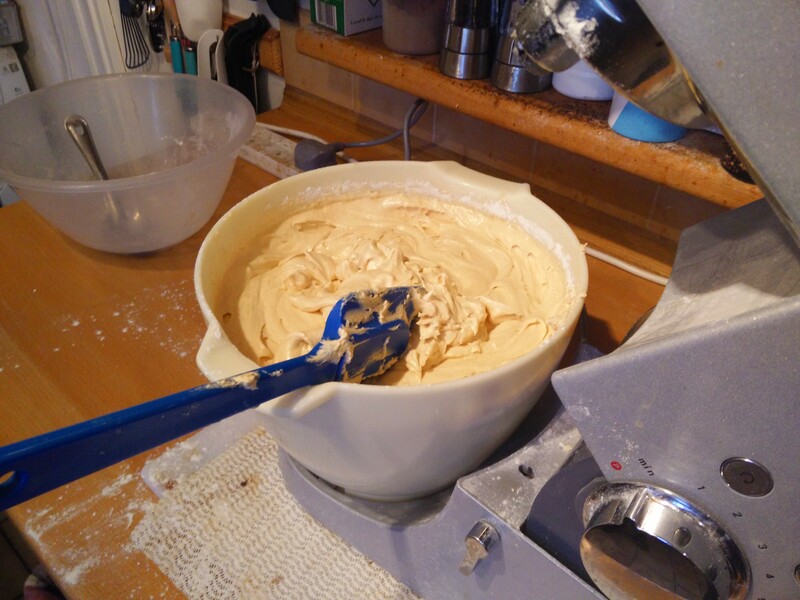 The batter barely fits in the bowl! 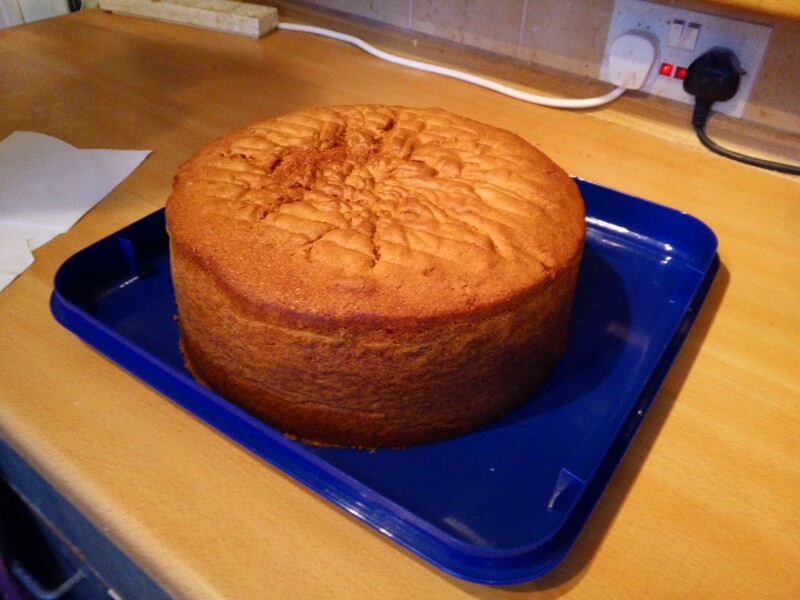 All of this baked up a very large cake. 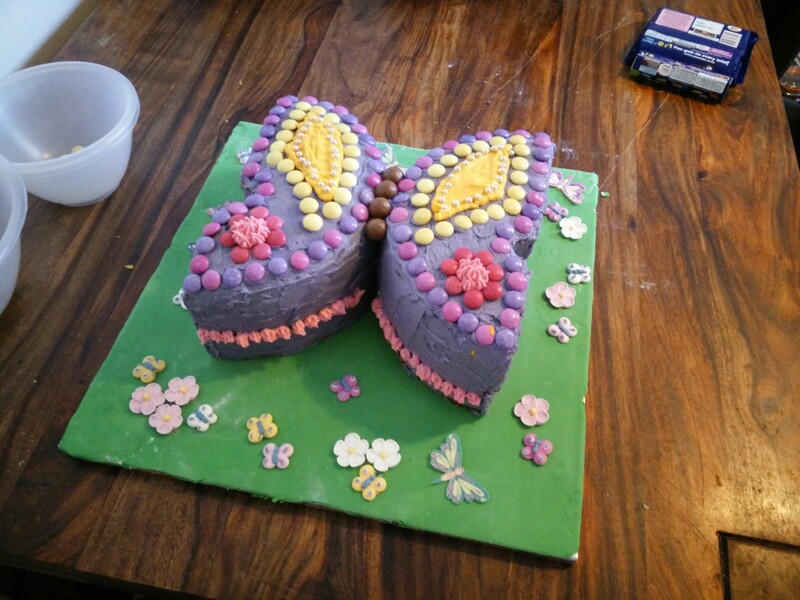 After two hours of decorating… it’s a butterfly! That’s a huge cake so hope Ellen had lots of friends to her birthday party, or the grown-ups might have had to tuck in.